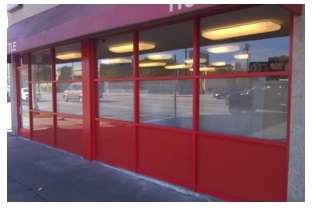 We install new anodized or painted aluminum framing systems, single or dual-glazed with a myriad of types of glass, in new or existing store front openings. Our staff can design, engineer, fabricate and install a variety of products from simple center-glazed store front to high performance offset-glazed thermally broken framing systems. Projects range from single and multi-unit street level retail spaces to interior mall fronts.